Purchase Order release with single and multiple authorities with cap on their limits. Automatic Purchase Order Generations with Rate Contracts. Vendor performance with ABC analysis of Vendors and Purchase Orders. 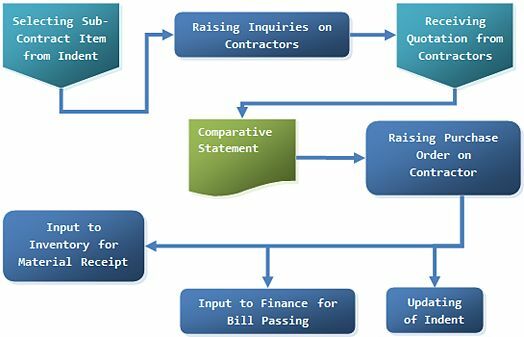 Sub-Contractor’s Ledger with information on material with sub-contractor.